NASCAR has a lot of challenges on its plate these days. In-person attendance is declining, television ratings are on the wane, the cost of competition has skyrocketed and there is weekly infighting among drivers, owners and the sanctioning body over the future direction of the sport. These problems are multi-faceted and will not be easy to solve. But in recent weeks, it has become abundantly clear that part of the answer is a major infusion of short track and road course racing to all three NASCAR National Series schedules. In the 1980s and `90s, NASCAR could do no wrong. It was a “hot button,” trendy sport, with new fans flocking to speedways and television ratings skyrocketing. Tracks sold seats faster than they could build them, and new speedways sprung up across the country like daffodils in the spring. Unfortunately, most of those new venues were carbon copies of each other; 1.5-mile, moderately-banked triovals more suited to the construction of luxury suites than the generation of great racing. Over time, these so-called “cookie cutter” tracks have fallen out of favor with fans, who have lost interest in the type of ho-hum, aerodynamically dominated competition they seem to produce. Veteran fans watched with dismay as traditional speedways fell by the wayside, abandoned in favor of newer, shinier venues in more romantic locales. In recent years, however, the tide has begun to turn. Everything old is new again, as the fickle favor of fandom swings back in favor of short track and road course racing. The reason for that change is simple. Over the last 5-7 years, the best racing in NASCAR has invariably been found on road courses and short tracks. 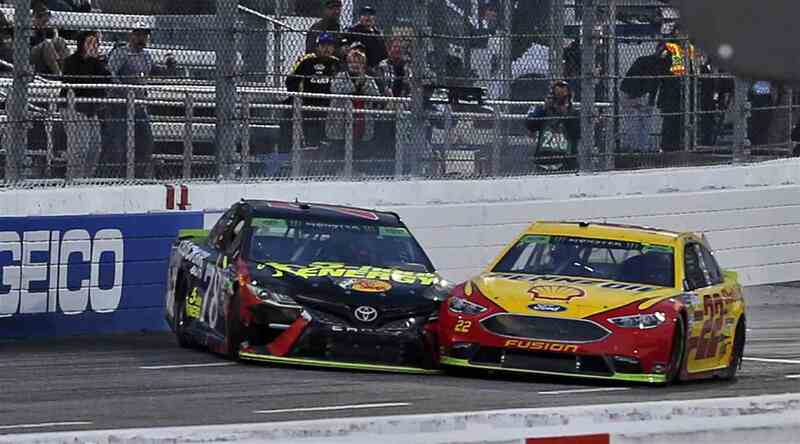 Tired of “aero push” and eight-second leads, fans have once again begun to embrace the fender-banging, frayed tempers and last-lap drama found at venues like Martinsville, Watkins Glen, Bristol and Sonoma. They are voting with their wallets and credit cards, and NASCAR is beginning to listen. Speedway Motorsports, Inc. President and COO Marcus Smith has led the charge, constructing the revolutionary ROVAL at Charlotte Motor Speedway and spearheading talks to return NASCAR racing to the venerable Nashville Fairgrounds Speedway. Multiple sources say that the Music City oval could host a NASCAR Xfinity and Gander Outdoors Truck Series doubleheader as soon as next season, with a Monster Energy NASCAR Cup Series race – possibly the All-Star Race – to follow. Behind the scenes, those who run the sport say a major shakeup is coming in 2020, when the current round of sanctioning agreements expires and the table is clear for a much needed, chassis-off makeover. In recent seasons, “major change” has consisted of going to the same old race tracks on slightly different weekends. In 2020, however, it appears that NASCAR is finally prepared to upset the apple cart and make major, substantive changes. 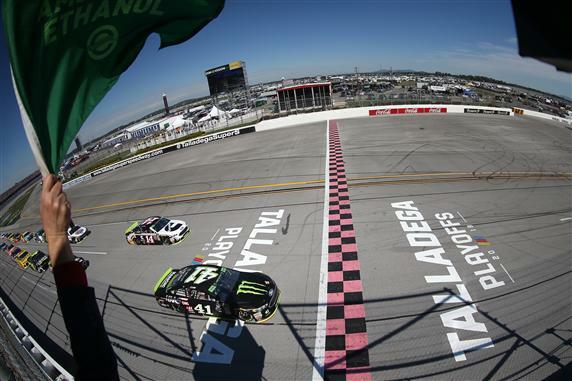 Venues that have traditionally hosted a pair of MENCS races each season may see their calendars trimmed to a single event, while tracks that struggle to sell tickets and produce competitive racing are jettisoned from the schedule outright. It’s time to shuffle the deck, forging a new season slate based on competition and excitement, rather than stagnant, decades-old relationships that long ago fell out of favor with fans. All three National Series schedules – Cup, Xfinity and Trucks – would benefit greatly from an infusion of short track and road course excitement, and it’s time to push those particular buttons. It’s time to take all three series back to the Nashville Fairgrounds. It’s time to excise Indianapolis Motor Speedway – a race with all the excitement of a drug-induced coma – from the Xfinity Series schedule, in favor of a trip back across town to the refurbished Lucas Oil Raceway Park. It's time to run a Wednesday night Cup race at Gateway Motorsports Park, just for the hell of it. It’s time for the Truck Series to return to its roots, running the bulk of its events on tracks of one mile or less. The excitement generated at the Charlotte ROVAL and Martinsville in recent weeks is difficult to ignore. And it’s time for more. Stewart-Haas Racing took teamwork to a new level Sunday, dominating the 1000Bulbs.com 500 from start to finish. SHR drivers Kurt Busch, Clint Bowyer, Kevin Harvick and Aric Almirola swept the top four spots in qualifying Saturday, and only an ill-timed, late-race caution prevented them from finishing in the exact same order in Sunday’s race. The Ford teammates implemented their organizational marching orders to perfection, slipping into single-file formation at the drop of the green flag and working together in a similar fashion on restarts to claim the top four finishing positions in the each of the race’s first two stages. Steadfastly refusing to budge off the advantageous inside line and resisting the urge to race each other for position, Busch, Bowyer, Harvick and Almirola were able to pull away from their less-organized competition, dominating the way few ever have in NASCAR’s notoriously tumultuous restrictor plate era. Not since Hendrick Motorsports posted a 1-2-3 finish in the 1997 Daytona 500 with drivers Jeff Gordon, Terry Labonte and Ricky Craven has an organization so dominated a race on one of NASCAR’s largest tracks. ...and finished up front at Talladega. 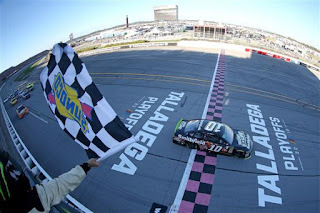 Stewart Haas was poised to sweep the first four finishing positions Sunday, holding a comfortable lead over the remainder of the field until Alex Bowman walloped the Turn 4 wall and brought out the caution flag with just three laps remaining, sending the race into overtime. Already pushing the envelope on fuel (as was virtually the entire pack), SHR’s master plan suddenly turned sour. All those laps at the front of the field left the Stewart Haas contingent shorter on fuel than the competition. Harvick was forced to pit road by fluctuating fuel pressure under caution, only to have Busch sputter dry while leading on the final lap. That handed the win to Almirola, with Bowyer finishing second; both of them virtually on fumes. SHR’s competition director Greg Zipadelli told reporters that he preached cooperation in the days leading up to the race, after disappointing results the previous week at Dover. Almirola advances to the Round of 8. “Last week, we didn’t do a great job of executing as a group,” admitted Zipadelli. “We could have had the same result. (This week), everybody said, ‘We need to help each other, work together and show everybody that we are teammates.’ I felt like our cars were strong enough that if we did that, we would have a very strong day. 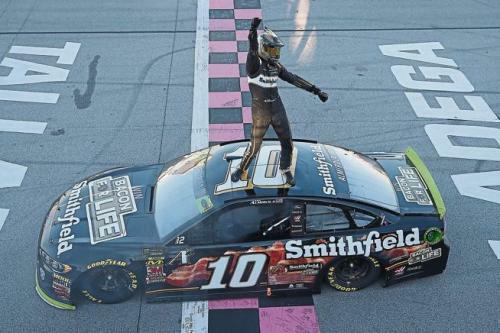 Almirola’s second career MENCS victory locked him into the playoff Round of Eight with one race still remaining this weekend at Kansas Speedway. Harvick is virtually assured of advancing as well, hovering 63 points above the cutoff line. Kurt Busch is 30 points to the good, with Bowyer now 21 above the cutoff. “We’re good to the next round points-wise,” said Harvick afterward. “That was really our goal coming into today; to try to do everything we could to put ourselves in a position to go to Kansas and just race. That’s great for the team, to give the guys a mental break in this part of the season (and) just go to Kansas and be able to race the car and not have to worry about points.